Our Photo Lamination Films, are manufactured in compliance with ISO 9001:2015 Quality Management system standards. Our products can also be customized as per the specifications of our clients. Further, our lamination films finds application in photo and document lamination, over lamination, Labels, Glass Interior and wide format printing etc. Our Photo Lamination Films are known under the brand name Durofix Lamination Film. 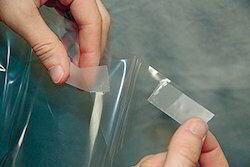 •Our Lamination Films are coated with PSA adhesive and allows for direct peel and stick application. It can be applied on the surface with the help of Lamination machine or by hand. •Available in Rolls and Sheets. 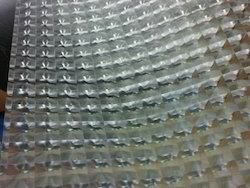 DUROFIX Clear to Clear Mounting Film(C2C) is a 100% Optically clear gumming sheet with adhesive coated on either side. The film has a clear liner on either side and is easy to paste onto a variety of surfaces. It is used for specialty applications where complete clarity is required; such as pasting the front of a print to clear acrylic or glass. It is available with high tack adhesive on both sides or differential adhesive, where the print has to be removed from the surface it is pasted on after a certain period of time. Eg. Labels for white goods. We offer our clients PVC Glass Decorative Films with different designs. Our Glass Decor Films are available in a width of 40 to 50 inch rolls. They rolls can be slit to size based on requirement. We use PSA Adhesives which allow for a peel and stick application, without the use of any special equipment. Provides a premium feel and finish to glass. We also have a shatter proof grade used to increase the strength of glass. • Available in various printed/Embossed designs. • Available in Rolls and Sheets. • UV cured and can last for over 20 years as per actual tests. Our Adhesive Aluminum foil tape, are widely employed in refrigeration, air conditioning industry, binding duct insulation, sealing air duct cable and air pipes, labels, etc. Further, being quick and easy to use, it eliminates drying time of liquid adhesive. 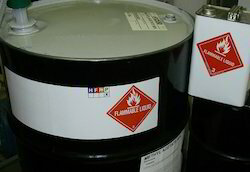 Moreover, it has very high bond strength to most surfaces making almost all surfaces self adhesive. 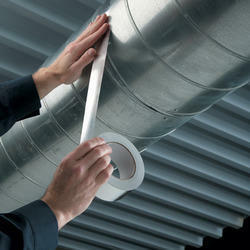 This product is well accepted in the market with the name: BC Fix Aluminum foil tape. We are prominent manufacturers of surface protection film employed for protection of surfaces such as aluminum, glass, acrylic, plastic, M.S., S.S., granite, furniture, laminate, foam boards, composite panels etc. 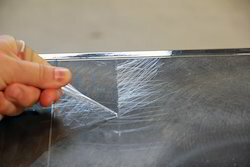 Our Surface Protection Films are popularly known as BC Fix Surface Protection Film. These are available in clear white and black & white colors. Further, it features a thickness of 40mic/ 50mic/80mic/100mic and has a width of anything upto 1270 mm. It is supplied at 100 mtrs length or as per order. Brite Coatings is an ISO 9001:2015 certified company with over 3 decades of experience manufacturing Top Coated Films & Self Adhesive Products. Brite Coatings has applied coating technology as its core competitiveness, to become an industry leader and develop our capabilities to set us apart from others in the market. Being technology driven and honing over 30 years of experience in the field we are able to provide out of the box solutions and customized product offerings to our customers. We manufacture a wide range of products ranging from: specialty print media, specialty label stock, industrial tapes, specialty coated papers & films and also provide adhesive & other substrate coating services for our clients as per latest industrial standards in our ISO 9001:2015 certified plants. Brite Coatings is an innovator in the field of coating technologies with a long-term commitment, to remain at the forefront of our industry. We aim to be unsurpassed in quality and over the years have built up an impressive methodology, to maintain top quality standards employing lean Six Sigma principles. Our products find applications in various industries such as - Digital Printing, Packaging, Automobile, Air Conditioning, Refrigeration, Safety and Security, Membrane Switch, Healthcare, and X-Ray Sheet, Paper, Steel, Plastic, Textile, Auto Ancillary Units and General Engineering Industries etc. We are well equipped to offer different Specialty & Adhesive Coating Services and Individual Product Development for our clients with novel products.